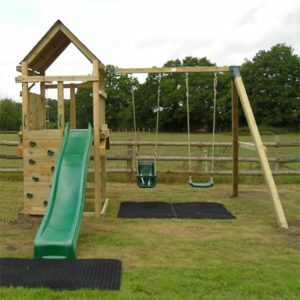 Our Medium Wooden Climbing Frames have a deck height of 1.5m (5ft). This is the most popular size in both our domestic and commercial ranges. Hence we have the largest range on offer; Action Climbing Frames, All Out Play, Home Front, tp Toys and Ventura. 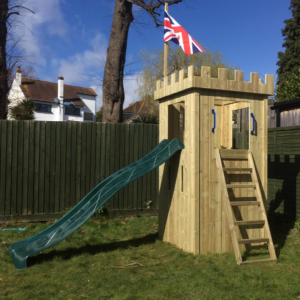 We offer a very wide range of prices and designs, from the cheaper, pre configured Medium Wooden Climbing Frames designed by Action and tp Toys, through to the modular design of Home Front. As well as the medium size, we also sell smaller (1.2m deck) and larger (2.1m deck) wooden climbing frames. You can even join multiple towers together to create huge Multi Tower systems. 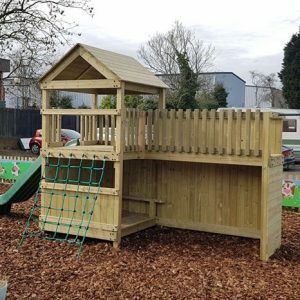 With endless combinations and lay-outs, the choice can be a little confusing at first, but we are here to help and have been supplying wooden climbing frames since 2003 so please feel free to contact us to discuss your specific requirements. Sliding, climbing and hiding, this Discovery PlayTower set has it all. With a 1.5m high deck. 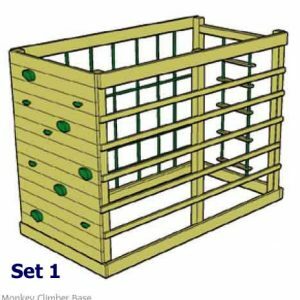 Based on the long-established climbing frames, the Home Front Monkey Climber Range is compact, robust and great for burning off energy! For specifications, please click on the ‘Details’ tab below. Available in seven configurations, simply select a ‘Design Option’ below for prices and photographs. Our own JOT range of wooden climbing frame sets. The Ventura Midi Tower is our mid-height Tower with a platform height of 1.5m and comes complete with ladder, slide, rockwall and rope ladder. Extra options include a Swing Arm and/or Monkey Beam. 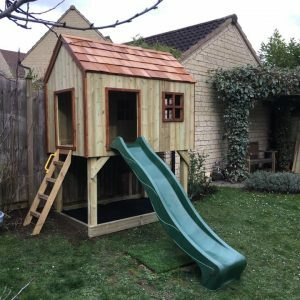 Premium play house with a cedar shingle roof. Wooden Jungle Adventurer Tower with a platform height of 1.5m. 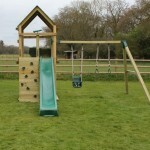 Great garden play equipment and this set comes complete with tower, slide, cargo net, ladder and two swings. 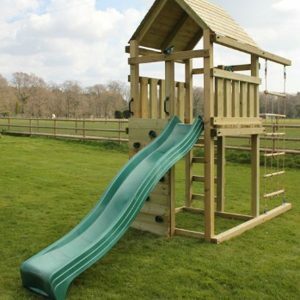 This Home Front Jungle Adventure Tower 9B takes up a small space yet provides sliding, swinging and climbing equipment.The deck height is 1.5m from the ground. The Home Front Jungle Adventure Tower has a deck height of 1.5m from the ground. This Set has taken advantage of a small space in the corner of a garden and includes a gangplank, bubble panel and telescope. A great hideaway! Proving you don’t have to have a huge space to fit in a multi activity climbing frame! This Home Front Jungle Adventure Tower Set has a deck height of 1.5m and includes a slide, ladder, rockwall, climbing rope, swing arm and sandpit. Wooden Jungle Adventurer Tower Set 2 with a platform height of 1.5m. 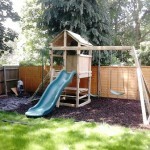 This set includes the tower, slide, cargo net, swings, firepole and picnic table built in! It also has the upgraded wooden roof. The Jungle Adventurer Tower with a 1.5m high deck this is one of our most popular climbing frames. This set includes a slide, monkey bars with swings, cargo net and picnic table. This Home Front Jungle Adventure Tower Set 12 has everything your children could wish for, climbing, swinging, and sliding accessories, and also a built in picnic table underneath where they can stop and have a breather. The Home Front Jungle Adventure Tower has a deck height of 1.5m from the ground. This compact set inlcudes an open spiral slide, a swing arm, ladder and climbing rope. Home Front Jungle Adventurer Tower has a 1.5m high deck and is one of our best selling wooden climbing frames. This set includes a huge rockwall, a firepole, slide, cargo net and monkey bars just to name a few! Wooden Jungle Adventurer Tower with a platform height of 1.5m. This set will keep your children busy for hours, with sliding and many climbing and swinging accessories. Sliding, climbing, swinging and hiding, this Jungle Adventurer Tower set has it all. With a 1.5m high deck. Including a Tyre Swing, this wooden climbing frame set will keep children happy for years. The Jungle Adventurer Tower has a platform height of 1.5m and this set also includes a slide, rockwall, ladder, monkey bars and swings.